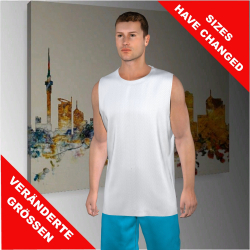 Whether you’re boxing just for fun, or competing regularly ‒ with our 3D online shirt designer, it is very easy to create your own jersey or singlet for boxing. 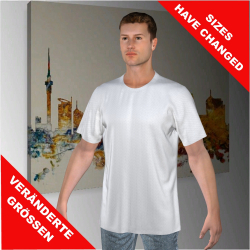 You can easily adapt your boxing shirt to your needs: upload logos and slogans and place them on the shirt's whole surface, you can even customise the sleeves! We print your design all-over onto the shirt by using sublimation printing. You won’t feel any difference between printed and non-printed areas on the shirt’s surface ‒ full wearing comfort! The used textiles all include a very high-performing heat and moisture management.